In the compilation of inspirational hymns and feel-good songs, are two famous ballads about Daddies. “Dance with My Father Again” and “Daddy’s Hands.” As I washed dishes around my sacred sink and absorbed the lyrics into my spirit, I felt a dam open in my heart (and eyes)! 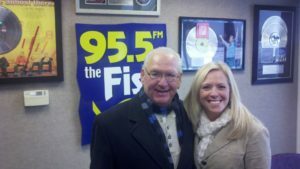 This March will mark six years since my Dad was diagnosed with small cell lung cancer. This June will mark five years since he died. A girl never outgrows the memory of dancing with her daddy. As time stretches on and the years pass, I am less able to hear the sound of his laughter, and the feeling of his strong hands gripping mine. Our family was far from perfect, and I can say that sometimes we put the “fun” in dysfunction, but I never doubted that my father loved me. Deeply. Like Garth Brooks proclaims in “The Dance,” I am just thankful for our time together. So many beautiful sons and daughters long for a dance that was never shared. Through the gift of working in ministry I’ve had the privilege to hear many stories. I repeatedly encounter the hurt of those who are carrying a father-wound. A father who was absent. A father who was abusive. So often, it is a pain that is passed on to the next generation. The hurt is heavy and can be lifelong. So, how do we bear under that and reconcile our earthy Daddy to our Heavenly Father? Brennan Manning devoted a great deal of his life and ministry to answering this question. A storyteller and man of faith, this story is a must-hear for everyone. What does all of this have to do with Lent, 2017? 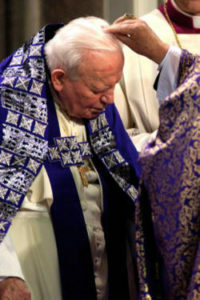 Well, in gathering my materials to become prepared for the next 40 days, I ran across a beautiful message from Pope Saint John Paul II on what would be, his last Lenten message in 2004. Lent is filled with so many rich, holy seeds to help us bloom and grow in our faith. The paschal mystery. Dying to self. Rising to new life. Taking up our cross. Giving generously of ourselves and our time. Breaking unhealthy patterns and forging new pathways of prayer, penance, fasting, and almsgiving. We never know when it will be our last Lent, so I believe there is a sense of urgency in “returning to Him with our whole hearts” and falling in love in a final and absolute way, with our Father. Allowing him to heal us. Embracing the mystery of suffering, not being afraid to drink of the cup we’ve been given, and praising God through the roses and thorns. As I laminated a few scriptures for our family to memorize this Lent (we chose Sirach 2:1 and Timothy 1:19), and researched the Nineveh 90 I began to feel overwhelming pressure to “get it right.” My oldest son is now 15, and he will soon be an adult. Yet, I have learned there is no magic formula or perfect recipe for raising saints. We all struggle with different temptations and doubts. We all fall short. That is why I am convinced that the most important thing we can do is simply sit at the feet of our Father. Abba. A good daddy always knows exactly his child needs. 1. Sit, kneel, or lie on your bed for a few moments and let yourself relax in the Father’s welcoming presence. A few deep breaths can be helpful here for relaxing. 2. Once you have relaxed, breathe in slowly while saying “Abba”; breathe out slowly while saying “I belong to You”. 3. 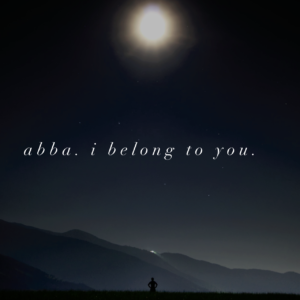 Slowly, prayerfully, repeat these words for several moments: “Abba” (breathing in); “I belong to You”(breathing out). 4. 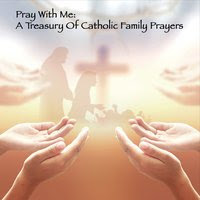 End this time of prayerful meditation by praying The Lord’s Prayer. Songwriter David Helser was recently so moved by this that he felt called to write a worship song based off Manning’s prayer. God bless you as you sit, pray, and dance with the Father this Lent. May he take you into his arms and lead you to new places in your soul as you draw closer to Him and find new life. Tons of ideas for kids! Thank you for your constant work as a disciple; challenging each of us with your tender heart! Prayers for a beautiful lent!! This was just what I needed to get my Lent off to a blessed start! Thank you, Brooke.